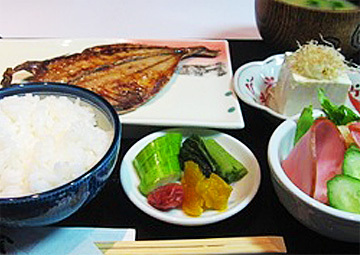 Japanese set menu breakfast! Cooking fresh fish from Tsukiji every morning. Hot baked fish. Simple but delicious. A cup of coffee after meal. Please make the reservation by 24 o'clock of the day before the breakfast at the front desk. Due to the hotel facility, guests' computer or software, you may not be able to use the internet. For some rooms, your machine may not be able to access to Wi-Fi due to the bad signals. Ask for the ID and password for Wi-Fi at the front desk. We are lending a LAN-cable at the front desk for 500 yen as the deposit money. Please know that the computers downstairs are for every guests who are staying at this hotel. Thus everyone can freely use the computers. So there is no security software to protect your information so please be careful. Moreover, we do not take any liability or responsibility regarding on internet secuirty issue whatsoever. *Paid websites or games can not be used. *Access to Internet (internet use) is free. We are offering this parking space for free so the guests can park their car but not to take in charge of the car. We are free of all liability and responsibility for the ones below. 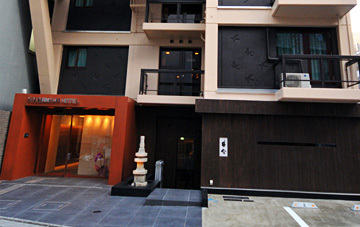 Copyright (c) TOUGANE HOTEL. All rights reserved.